I was seventeen the first time I flew to Florida from Ohio with a window seat from the flat part of Ohio with patchwork crop and livestock fields to the far more interesting and unpredictable land forms of the Appalachian Mountains with its foothills and then to flat, washed out netting of roads so common in mid Florida. Do not get me wrong, when I was younger I liked it although I never really cozied up to the tropical plants, with the exception of fern trees and oaks. I admit that Florida is a lovely place if you like flat sandy, subtropical places. Been there, done that, and so very done with it! Since moving to the north part of Georgia, every time I visit Florida, I am thankful it is just for a short time. To me, its greens are bleached out and it has so many whole cities of mostly perpendicular north and south roadways crossed by streets spanning east and west that are unimaginative, probably a city planner's dream. I will say that it is senior friendly because everything is easy to find and you can hardly get lost. We made plans to go to Florida to visit the Queen Mother and to start the process of taking keepsakes and things of worth we wish to keep from her house, in preparation of the ultimate goal to sell the house and everything else of value we would not be keeping. It is no small task to categorize the material residuals of life into piles of keep, sell, donate, or trash. I can only imagine it was harder for my husband, who had lived there from the time he was seven until he left for college at seventeen. We took both the Dragon Heart, our mini van, and Big Red, our new diesel pick up truck that can haul our trailer completely packed. We were not planning to bring back much, mostly things from the garage and work shed, like a wheelbarrow, the generator, and a rain barrel. We planned to make decisions when we were there about what we would take back with us this time. We left Thursday morning in the rain and rain it did for the entire 550 miles with the exception of the last two hours, turning our 8 to 9 hour drive into nearly 11 hours...and it began raining as we pulled into the driveway! However, Florida has been in a drought with wildfires so it was sorely needed there. I had purchased a light diffusing box and lights for taking pictures of the Hummel figurines, dolls, and other collectibles. That was the task for the Princess. My husband and I rummaged through taking down pictures from the walls to be boxed up, looking through the hidden places for the silverware, and the jewelry. Memorabilia was high on our list as well and we even found a picture that the Queen Mother had always wanted of her husband that had been in his mother's house but was fought over with his sister...and she had it all along in a very unique desk that we had thought was a sewing machine table. The morning of the first day, I looked through the Queen Mother's jewelry knowing that she had a serious affection for Black Hills gold jewelry and I honestly had no idea how much of it she had, but I wanted to bring it home to be placed in our safe. Mind you that I cannot wear it. The Queen Mother is a large boned woman, although shorter than I am. I think her rings could quite possibly fit my husband's fingers and her bracelets slip on and off my wrists without bothering with the clasp, as I have rather small hands and wrists. They could be fitted by removing a link or two on some, but I like a daintier bracelet, with the exception of my colorful glass bead bracelets. My husband and daughter went to visit the Queen Mother that first day in the afternoon. She was in good spirits and handed my husband a list of things she wanted. She could have called and told us so that we were not scrambling to shop for some of them while we were there, but...well, the Queen Mother does not make phone calls unless there is a problem and this did not qualify as a problem for her. While there my husband began to again ease into the conversation of what was of value and should be kept. When the Queen Mother told them where her Black Hills gold jewelry was, the Princess eagerly—maybe too eagerly, given the situation and knowing them both—chimed in that we had found them and how pretty they are. The Queen Mother then looked at her directly and said "You have been into my jewelry!" My daughter realized that she might have made a mistake, but her grandmother then said she was just kidding. I was not there but when they told me, I was thinking she was not kidding that much. The next day we went to see her, the Queen Mother was upset and weeping because of all the things my husband had talked to her about the day before. We came with almost all the items she wanted including the items I had to buy at the store that morning...which, of course, were not the ones she wanted. She told me she had written down all the information with the numbers (for the style although she did not tell me and assumed I knew what those three numbers mention off to the side meant) and I told her that these were the only ones in the store that were the size she wanted in the brand she wanted, so the style she wanted was not there in her size. Immediately, I began looking online and found it on Amazon to be placed in my cart to finalize the order later. As I doing that, she said in a very commanding way that she wanted ALL her Black Hills gold jewelry with her "HERE" making a downward motion with her arm while pointing her index finger down. I looked up and asked, "All of it?" (Please understand that she has more rings than fingers and toes AND she is retaining water so she cannot wear any of them and I am not so sure she can wear any of the several bracelets either.) She repeated the words and gesture with a redder face as if how dare I question the Queen Mother. Trying to help her realize that would be putting all her valuable jewelry at risk, I asked her if she thought that was wise because...well, there was no secure place for it there, but she told me that she sees residents with keys on bracelets, so there is way to secure them there, she believed (but did not even really know because she had not asked yet, is what I got from that). Taking a deep breath in and out, I then began to work on setting up other contacts on her phone that she might like to have. She has had a written list of phones numbers by her wall phone in the kitchen for years so we bought that. Now her phone is not a smart phone but a flip phone so inputting contacts is a bit more work. She was still quite upset, so I was just going to put them all in but the Queen Mother wanted me to give her all the names on the list so she could say who was in and who was not. So I was still trying to figure out how to even get to the contact list to add anyone and she was trying to get me to read down the list. I asked her to have patience with me and gave her a few names, when we got to a "yes" I would put that one in...because to be quite honest, at this point I am pretty rattled with her trying to control everything and everyone to do everything exactly her way. My husband was sitting next to her trying to calm her down and I was slowly getting through the list. She was determined that I would not put any of the grown grandchildren in there. My husband and I both mentioned that just because they are listed does not mean she has to call them or even answer their calls but it was for her benefit so that she would at least know who is calling...nope! However, she did want one neighbor, who is as controlling as the Queen Mother, on the contact list, which surprised us. This neighbor has helped her, like making sure she went to get checked when she fell on her knee and visiting her and bringing her things from the house, but she is also overkill. 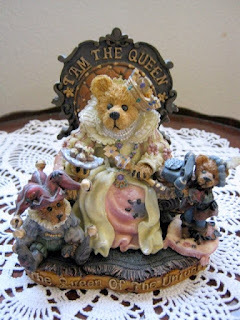 The Queen Mother had come to rely on her in some ways, but also complains about how she has been confusing her, telling her what to do and such. There is a strange dependency that concerns us because she complains about the woman yet.... My husband can size people up accurately, his God given gift, and he does not trust her. Since there were two women with the same first name on the list, I did not know which was the one that we would have preferred to mistakenly (on purpose) not put on the phone. However, I have a pretty good idea why the Queen Mother wanted her on it, so she has a neighborhood snitch to tell on us. The woman had come over on the first day, Friday, when my husband was visiting his mother and she began telling me what I should do with this and that in the house as well as asking me what we planned to put in the trailer. I said that depended on the weather, but it did not escape me that she once had keys to the house for a few months and knew what was in it, so she would be watching to see exactly what we were taking and probably tell the Queen Mother. The third day I did not go with my husband and my desperate-for-Internet child, who is thankful for the free wi-fi at the nursing home. The Queen Mother apologized to my husband for being so rough on me, probably thinking that is why I did not come and that was partially true. Being empathic has its drawbacks. I try to connect with people as my way of understanding and helping them not with just physical healing but emotional, it just happens without conscience thought...so imagine, if you can, feeling how helpless and out-of-control now that her things are being prepared to be sold or whatever the Queen Mother feels along with my own feelings of being the brunt of her anger and pain, and just trying to imagine my own feelings if I were in her situation, and trying to deal with my feelings about going through her things to decide if they have worthy sentimental or monetary value. The conflict is completely insolvable and I could not sleep that night. So, when she finally had all the Black Hills gold jewelry, she reportedly said that she did not know there was so much...but kept it anyway. If it is stolen or "lost,"—well, it is her jewelry, even though legally it is not hers now. She signed everything in and of the house over to her son, which she understood but she still does not completely get. The Queen Mother on that day also asked to see her bank account, which only has her monthly income and it goes to the nursing home. My husband simply said that he did not have it with him. Yeah, I am thinking the snitch neighbor will be happy to tell the Queen Mother everything she can glean from us and the other neighbors. I am very sad for her though. As I have been looking into the values of all her collectibles, they have lost value. Markets change. I always thought of collectibles as something that only have value because the owner enjoys them and not as an investment. The Queen Mother thought they were both, but she missed selling at the height of the market. Only the very oldest of Hummel figurines are holding their value. (Actually, I am not into all these collectibles but I had to learn about the several different trademarks on Hummel figurines so I could look up their value, even though of the more than eight trademarks, the only ones of real value are TMK 1, 2, and maybe some with 3.) Madame Alexander dolls are now selling for less than half of their purchase price, but there was a spike in the market in the late 1980's when Madam Alexander sold her company. At that time, the Queen Mother's set of First Ladies might have sold for as much as $40,000 and my father-in-law asked her to sell then, but she would not thinking they would continue to go up. There are other collectibles: Capodimonte ceramics, Avon, Shirley Temple, Fenton Glass, pressed glass, carnival glass, and Boyd's Bears. Why the change in the collectible market? It is not just because we had been in a bad recession, but because of other several factors. One is when things become popular and demand is high, companies tend make more to sell more and it saturates the market so there far too many available; most of the time this is not a big factor because of population growth, items get ruined, and greater demand that drives up the price of the pieces as they become more difficult to obtain. However, another factor is that my generation and younger are not into collectibles; more people see them as cluttering dust collectors than as something precious. Another factor is eBay: instead of throwing away or finding an antique dealer to buy these items, people can easily list them on eBay and sell an item themselves, which has driven the prices down because people are willing to sell them just to get rid of them. So, I was thinking how sad it is to see everything that the Queen Mother valued in her life become devalued. My husband and I have watched her through the years invest into and place more value on things that do not have true lasting value rather on the things that are worthy, like God and people. Yes, people can let you down and hurt you and even die, but they are eternal. God has invested in people and values people. I think those investments are the ones that really last. I think it is sad that she has only had a couple of visits from two neighbors after being in a nursing home for well over four months and yet I cannot think of a time that she has ever visited anyone in the hospital or in a nursing home other than family. It is sobering to see what has been sown in life is what we reap. My Lord, peace is so hard to find right now, so I must rest in You more. We spend so much of our lives accumulating *things* ~ & they mean so little in the end. I am picking @ decluttering now our kids don't live here [I am surprisingly ruthless & not @ all sentimental ☺] but it is a horrendously enormous job & I am hating it. I dread having to do my mother's place when she goes. So much STUFF!!! God & people ~ & the people can be sooo difficult! I am now working on choosing what will go from my house as well to add to the estate sale. We decided that would be the best way for us to do it, so we will hauling things to and from. Not fun but I am looking forward to decluttering my home also.